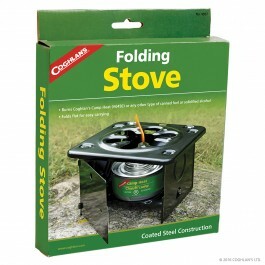 Coghlan's Folding Stove is a must have for any Prepper or Backpacker. 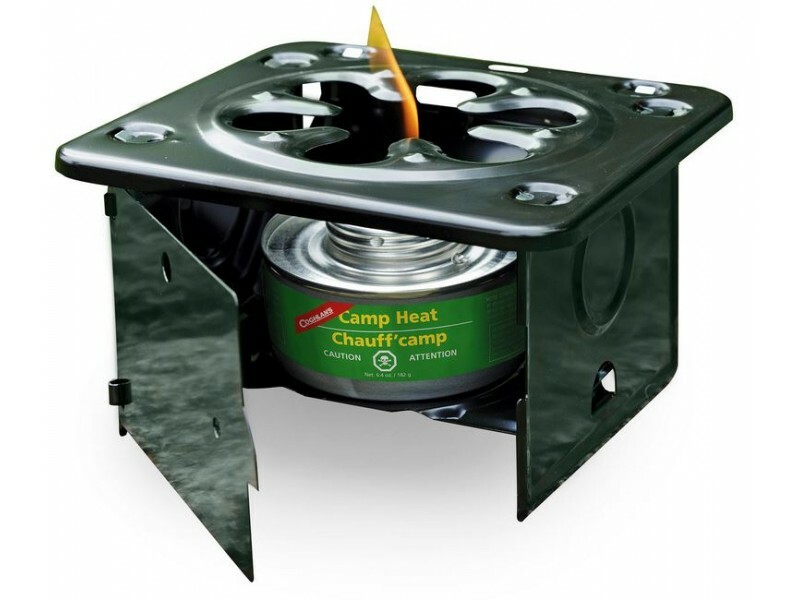 This very compact stove and easy to store in any Go-bag as it folds flat for easy carrying. 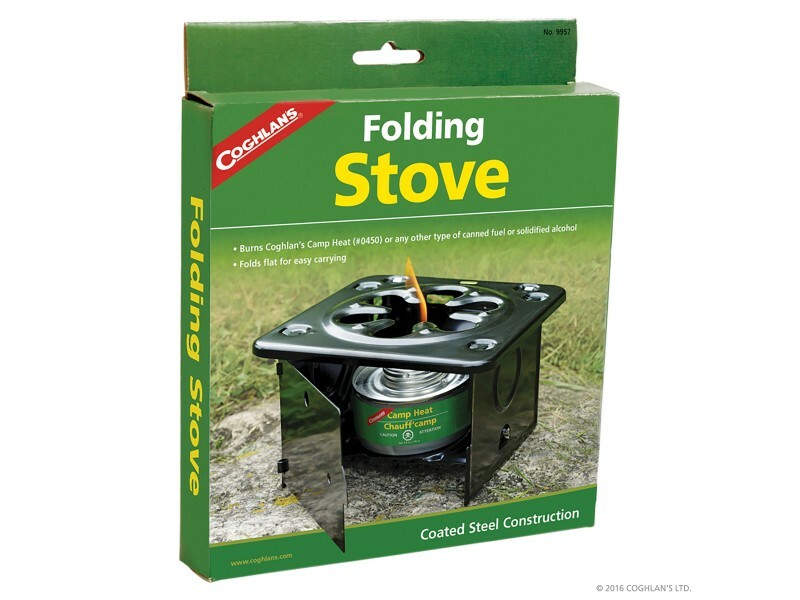 It has a coated steel construction and strong enough to hold a heavy pot. Has a front door and sides to protect the flame from wind.